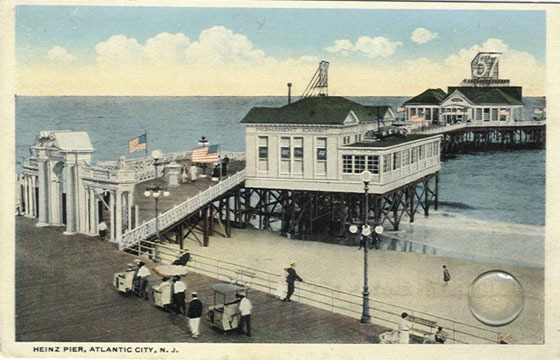 The Iron Pier opened in Atlantic City in 1896. H.J. 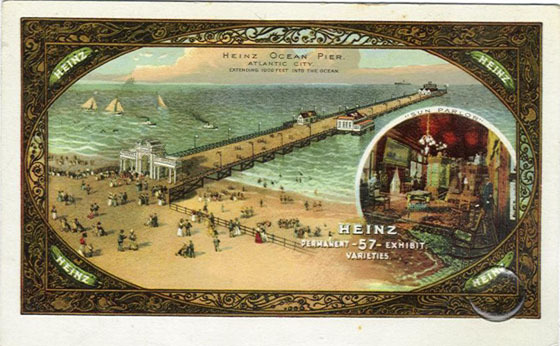 Heinz purchased the Iron Pier in 1898, and turned it into the Heinz Pier. He called it the "Crystal Palace by the Sea." 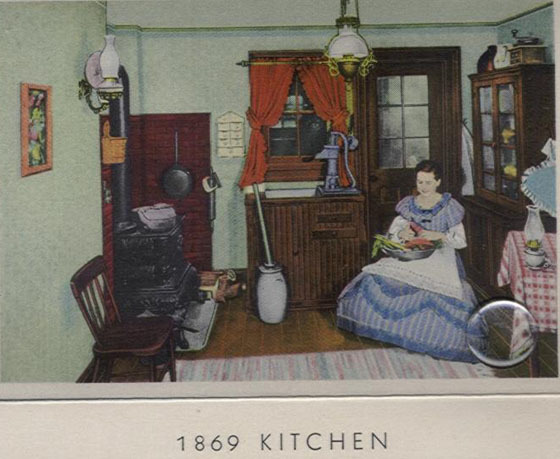 Post Card by Post Card Distribution Co. - From the collection of Thomas Topham. Visitors to the Heinz Pier got to taste Heinz products, especially pickles, and were given a free Heinz pickle pin. 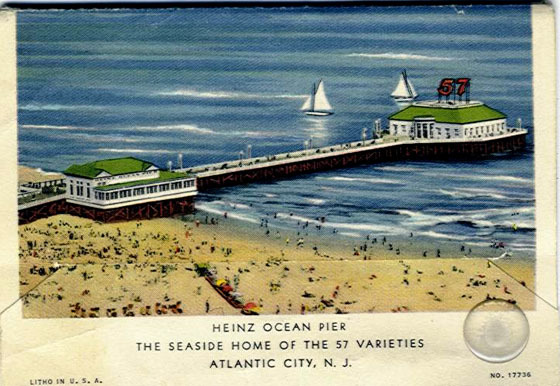 The Heinz Pier was destroyed by a hurricane in 1944. 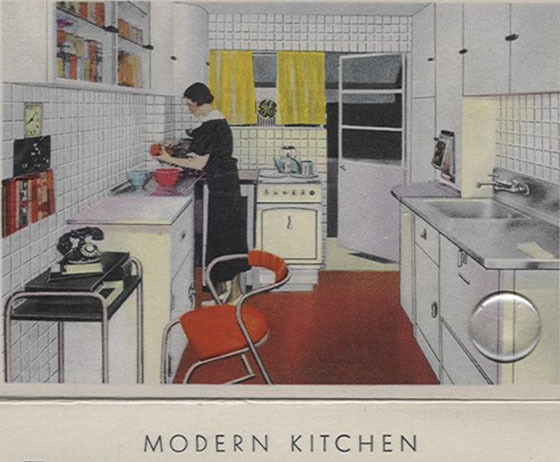 Post Card by Miller Bros., Atlantic ity. - From the collection of Thomas Topham. 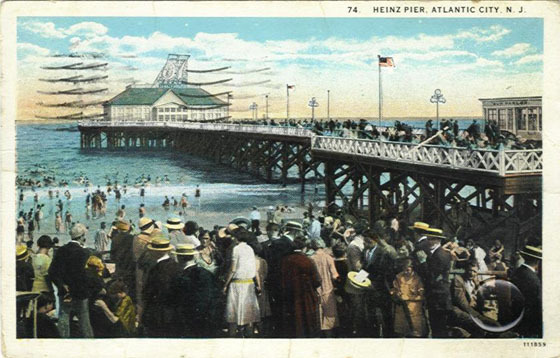 Heinz Pier on a crowded summer day. 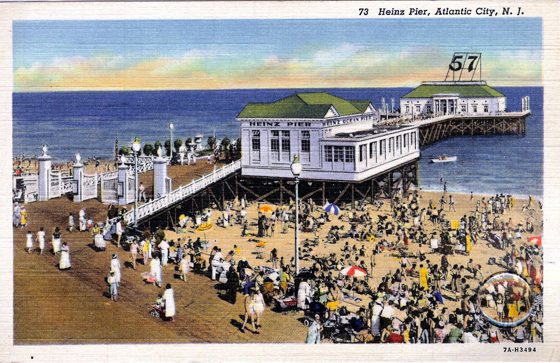 Heinz Pier - Another View. Photo from the collection of Thomas Topham. 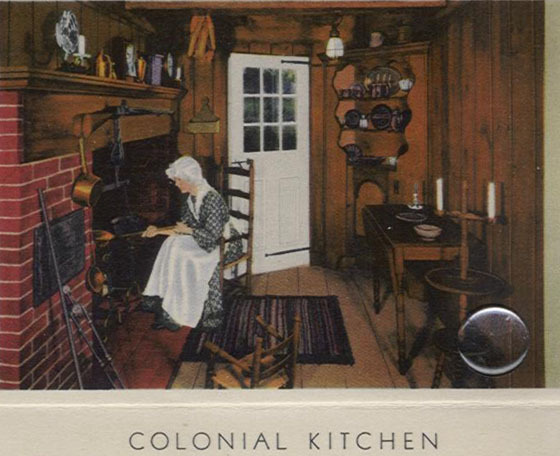 The Heinz Pier held daily organ recitals, and it included a museum which featured displays of "Kitchens from the Past," the then-present, and from other countries. Five examples are shown below. 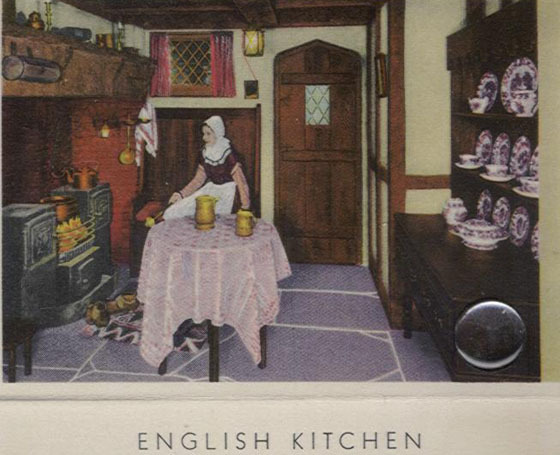 Postcard from the collection of Thomas Topham. 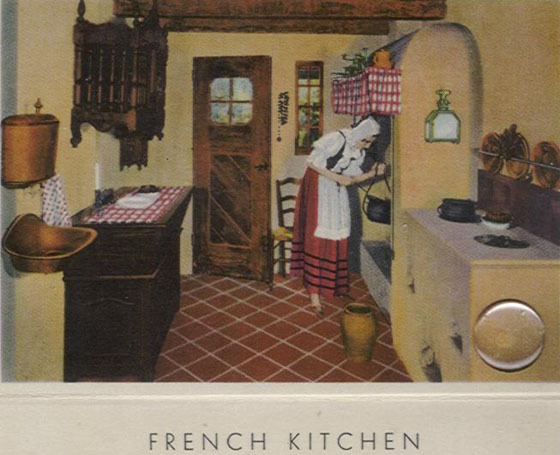 Postcard by Saltzburg's Merchandisise Co. - from the collection of Thomas Topham.